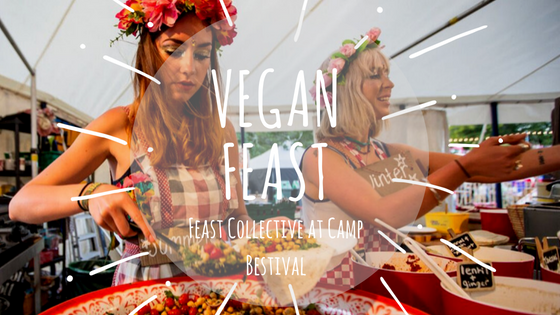 My lovely teen has recently embraced the vegan lifestyle and so while I am still looking forward to pulled pork, brisket baps and a bacon buttie or three at Camp Bestival, the teen will be in search of less murderous fayre. And no creamy mash or cheesy chips of course. So what can she expect and more importantly will she have enough choice? Now if, like me you clicked through on any of those links you may well be drooling, because they all sound amazing. I don't think lack of choice will be an issue, I think being able to try everything might be! Hello festival fans, I'm here to tell you about another festival, don't panic though, this time the tickets are not a million dollars! Nozstock The Hidden Valley has revealed a wave of artists, performers, and entertainers performing at the festival's 20th anniversary this summer. From Friday 20th to Sunday 22nd July 2017, the family-friendly festival celebrates two decades of mesmerising get-togethers on a working farm in the rolling hills of Herefordshire. 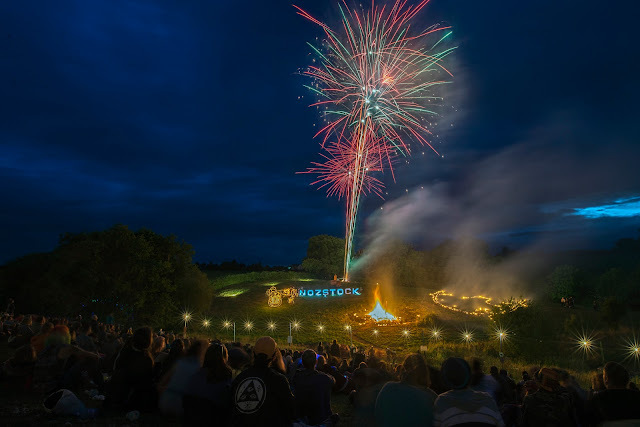 Curated by the father and daughter duo of Pete and Ella and their huge extended family, Nozstock has flourished over the years into one of the country’s weird and wonderful odysseys. I hope the PDSA Petlife Festival becomes a regular event. Blessed with glorious sunshine the festival was a riot of doggy fun. Plenty of shady spots and paddling pools for the pooches to keep cool, and enough space to wander comfortably, the festival felt spacious and well managed. 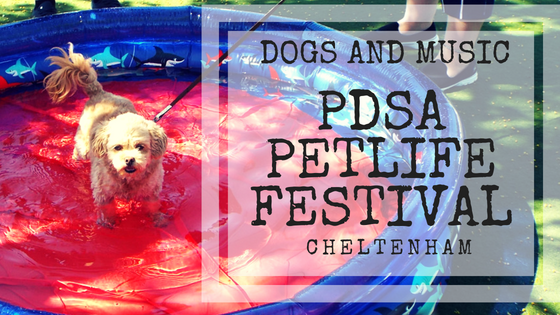 Water bowls were placed almost every 5 metres, free snack samples (for dogs), agility courses, lectures, vets on hand for chats and advice, police dog displays, the list was endless for doggy fun, there was even dog diving in a large deep pool! If I have a moan (and no festival is ever going to be perfect) the organisers need to remember to enforce their own rules fairly. Declaring 'no chairs' and 'no picnics' to be brought in is fine, but extremely annoying when you later see people that appear to have come in with both! I'm looking at photos online from previous years, to get ideas as to what is the dress code, Wilderness festival is very much a sparkles and glitter festival, Camp Bestival is a silly 'any thing goes' sort of festival, but will Cornbury be tea dresses and lounge suits or fancy dress and jeans? The Travel Loving Family blog make it look rather like a giant summer fete or picnic, smart casual wear, a relaxed feel and gorgeous weather! I hope that continues. 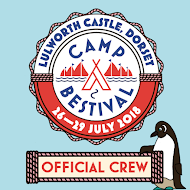 Festival Kidz review seems to suggest the same, with plenty of crafts to get involved in, I hope having a small child isn't essential to take part as I love a bit of crafting and I'll be with my teen.